You're not too late. Email me at mpuette@hotmail.com for information on the watches and other Knight items. SOUTHERN KNIGHTS ATLANTA 2017. 35th Anniversary Celebration! Need I say more? Keep your scanners peeled. Topic: SOUTHERN KNIGHTS ATLANTA 2016 The Celebration is back! 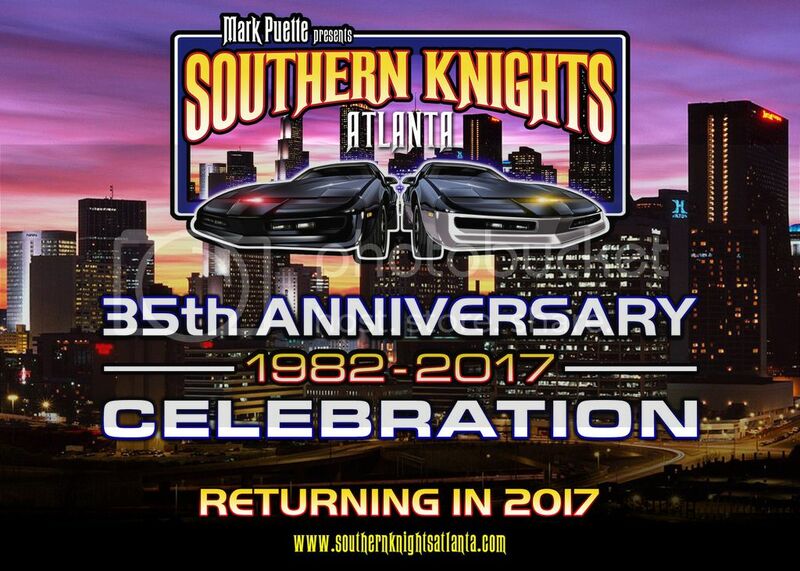 SOUTHERN KNIGHTS ATLANTA 2016 The Celebration is back! Topic: Big Announcement for SOUTHERN KNIGHTS ATLANTA 2016! Big Announcement for SOUTHERN KNIGHTS ATLANTA 2016! Topic: Peggy James, wife of KR Hasselhoff stunt double passes. Peggy James, wife of KR Hasselhoff stunt double passes.